Are you still frantically searching around the house, looking for that medical advertisement you “put in a safe place in case we needed it” to no avail? Suppose you wanted to find the details of a local medical practice, but never keep hold of the Yellow Pages or always misplace your address book? if this sounds like you fear not - we’re going to show you how to make your life easier, and why to use a healthcare mobile app. Who would use a healthcare mobile app though? Isn’t it just doctors that would use a healthcare mobile app though? Surely it wouldn’t be of benefit to patients and the general public? Nothing could be further from the truth - everybody benefits from a healthcare mobile app, from hospitals, healthcare professionals, and patients. Companies like Integrated Change develop and design medical apps for all platforms (Android, iPad, and iPhone) as they are committed to Digital Health. By focussing only on healthcare, they have created medical apps - and only medical apps - that work for every sector of the public healthcare community. By using a healthcare mobile app, you could either replace or supplement your existing online presence, bringing your services to a wider audience. However, it’s not just the business sector of the medical community that may use a healthcare mobile app. Regulatory bodies, charities, medical campaigns, National Health Service Trusts all can reach out further - and better - to patients via healthcare mobile apps. For example, WeightWatchers developed a digital campaign to promote its GP Referral Scheme by targeting Public Health Commissioners. 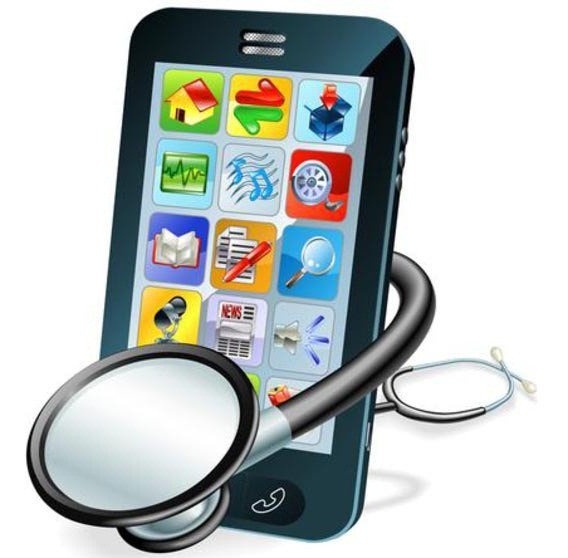 What are the benefits of using a healthcare mobile app? Think about why you use a smartphone rather than other things in your life - easier, faster, simpler and less hassle. No papers and pens to carry to take notes for instance, and its always close to hand. Now consider if you needed information, either to record or review, and you needed to document anything - such as weight, health information, activity etc. Which would you prefer - to have to keep notes in the old-fashioned way, and then store and carry them wherever and whenever you may need them, or use a healthcare mobile app instead? The benefits only increase when you need to share information, such as with your doctor, as it’s all in a standard format and place and makes reporting a breeze. Going back to the original two scenarios, wouldn’t it be a whole lot better if all the information you previously could not find was there on your smartphone? Those medical practice details, the medical marketing campaign you needed to keep track of, or even just those promotions that caught your eye to save money at the dentist? When you use a healthcare mobile app, you take all the hassle out of medical matters, which leaves more time for you and your medical community to focus on what matters. With so many options, so much flexibility and power, and so many different applications, you can now see why one would use a healthcare mobile app, right?